Three years after the day the world reset, when the dead stopped being dead, a man, a woman, two dogs, and a cat, cross paths on rural road littered with desiccated corpses. When the man chases the woman into the woods he links their fates for the next twenty-four hours. What each wants, where each is going, and whether either can be trusted will play out against a vivid, evocative backdrop and the ever present menace of the undead. 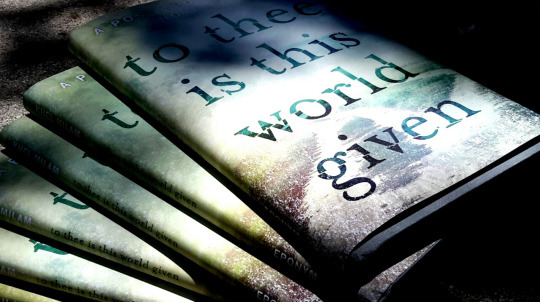 To Thee is This World Given is the first of a planned quintet of novellas by Khel Milam highlighting four characters as they cope with and adapt to a post-apocalyptic world. 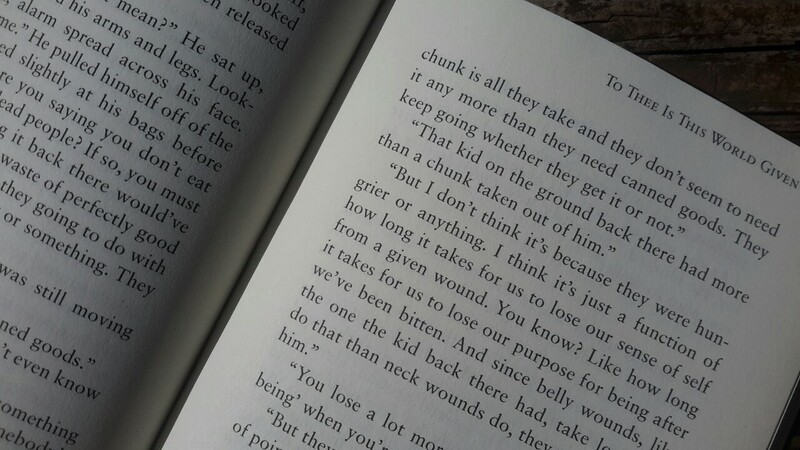 It is the only one of the five books in the Quinquennium series in which all four human characters appear together. Chronologically, it takes place between books four and five. At just over 100 pages, this understated, thoughtfully composed novella’s steady, unrelenting pace shifts seamlessly from overt to subtle tension, creating a slow burn that holds the reader’s attention from start to finish. Its fluid, effortless prose is always driving forward with no extraneous motion. To Thee is This World Given is brilliantly imagined, expertly told, and hard to put down. Khel grew up in Texas in the 1980s, but has lived in South Florida on and off for the past 20 years. Degrees in Anthropology and Philosophy and Law greatly influence her writing, as does her admiration for the works of John Steinbeck, Ernest Hemingway, William Faulkner, Dennis Johnson, and Jorge Luis Borges. Despite having intended on being a writer since high school, life seemed to always get in the way. And so, when finally given the opportunity to pursue writing full time, she took it, and her first book, To Thee is This World Given, was released the following year. I recently reviewed this book and found it really interesting! My review can be found on my blog, Rachael Reads! Perfect for fans of apocalypse settings, with a dash of zombies, and a heaping side of survival narratives. So basically, if you like The Walking Dead, Mad Max: Fury Road, Fallout, or any of their ilk, read this book. In full-disclosure, I received a copy of the book for a review, but it didn’t sway my opinion at all. Khel Milam’s “To Thee is This World Given” is an addictive and invigorating page-turner. In a very short time, Milam’s vivid characters and their harsh environment come off the page, making their quest for survival that much more emotional. The 104-page novella is exciting as it is fascinating; you immediately start asking questions, which – for me – spurred me on to know what happened next. The novella is very well-written. The environment is so well described that you, too, feel uneasy. You feel like you’re forging on while charting new and unforgiving terrain – all while fighting for survival with the two characters. The main characters are developed primarily through dialogue, but you feel for them, fight for them, and urge them to grow further. It’s definitely a great account of man vs himself, man vs man, and man vs the elements. I give it 4 out of 5 stars, if only because of stylistic choices like not giving any characters names. I understand that it could be a representation of the lack of labels in the new land, or even the growth from the shell of people that the characters used to be since the change. That being said, it occasionally got confusing (while talking about a forsaken camp and another time toward the end – no spoilers). Also, for the pet lovers — dogs and a cat become secondary characters. Nothing bad befalls them. Great job, Khel – thank you for letting me read your work!